It’s time to leave Coromandel. It was a good place to come to and riding up the coast from Thame and beyond Coromandel is something I’d really recommend to anybody interested in coming to New Zealand. It rained first thing in the morning and that made the preparations to leave a bit less straightforward that they could have been. The tent cover was wet bot inside, condensation, and outside, rain, so I had to drape it on the cloths line and do everything else in the hope that it would dry. It did not, so the next tack was manually taking away the bulk of the water in the hope that, once packed, it would not get everything else in the pander wet. Note that in my next set up the tent will not live inside a pander but attached to the outside of a rough sack so this problem will be less severe. All packed up I got into town to get some breakfast as the route I had chosen had the first town 36 miles into the ride. At the Coffee shop I stroke a conversation with one of the members of staff. Of Indian origin, he first came to New Zealand to study and now he works on a seasonal basis just enough to save some money to go traveling. He gave me some top tips about traveling to India and especially the breakdown of the best seasons to go. 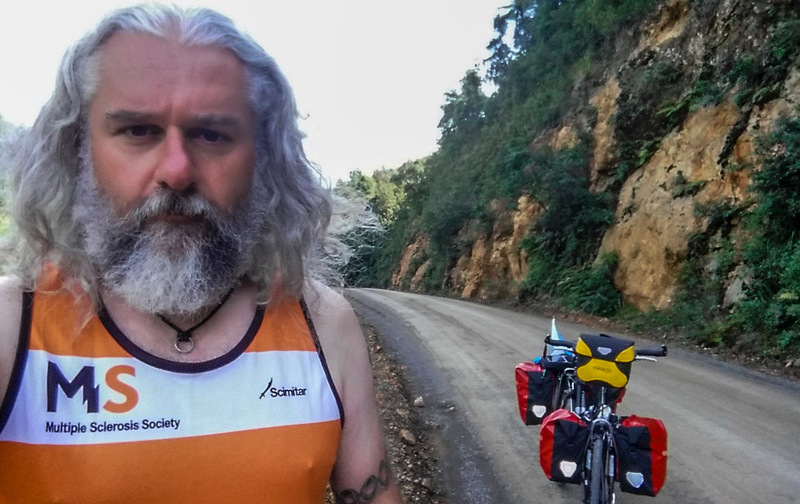 He reckons that starting in the south in the winter would allow a cyclist to move north following the seasons eventually ending up on the mountains, at the extreme north, in the the summer when it’s bearable to be there and unbearable to be anywhere else. Might have to consider if this is preferable to South America as a next winter destination. 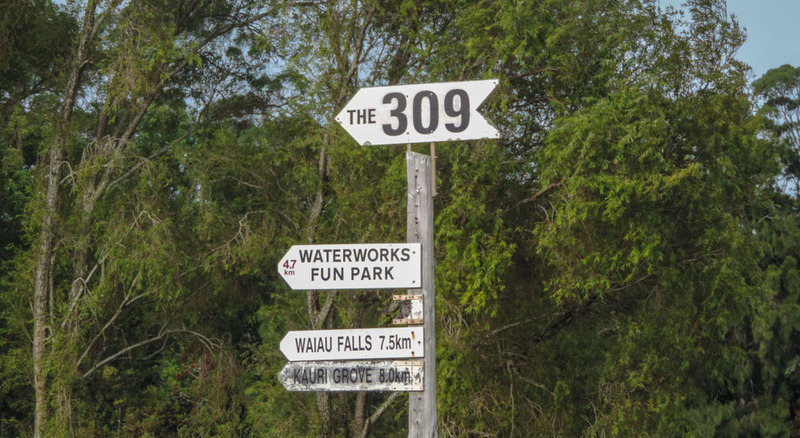 He also gave me some information on the route I was going to follow today, the legendary 309 from Coromandel to Whitianga. This gravel road cuts across the peninsula and is highly recommended in the cycle touring community as a must do challenge. 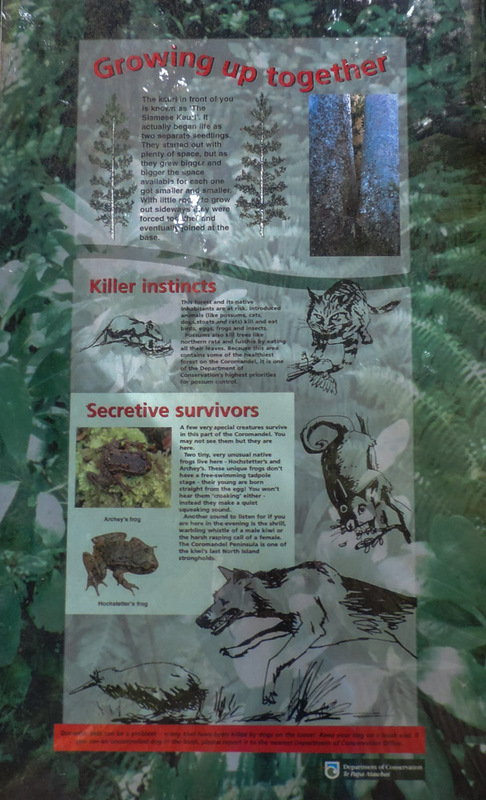 The Wikipedia page about it, as well as the entry point are a bit scary as they mention death, accidents and obstacles. 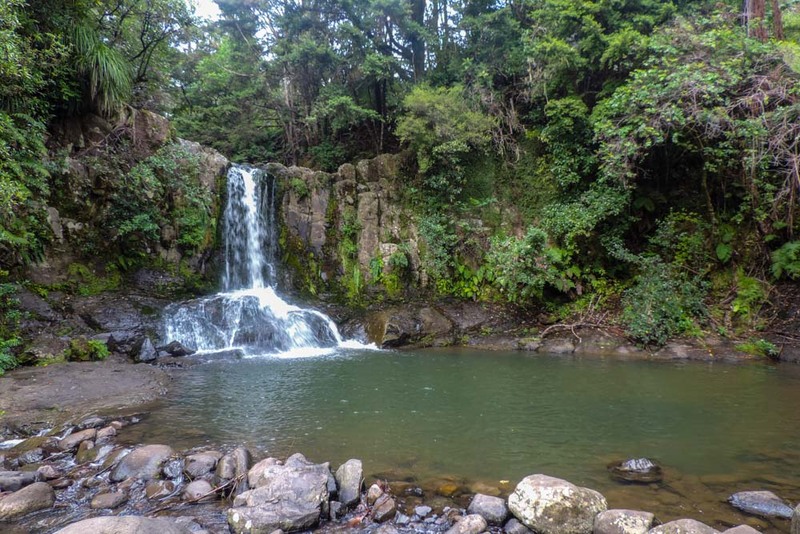 What my indian friend told me was however more reassuring and he also mentioned that it is great fun to have a swim at the waterfalls that can be found 7 km into the route. Time to go. I covered the two miles to the start of the 309 in no time and initially i was a bit surprised as it appeared to be a sealed road. That quickly changed as soon as the last house was behind but the unsealed surface was quite compressed and relatively free from loose gravel so cycling was easy, even when the road was going up. 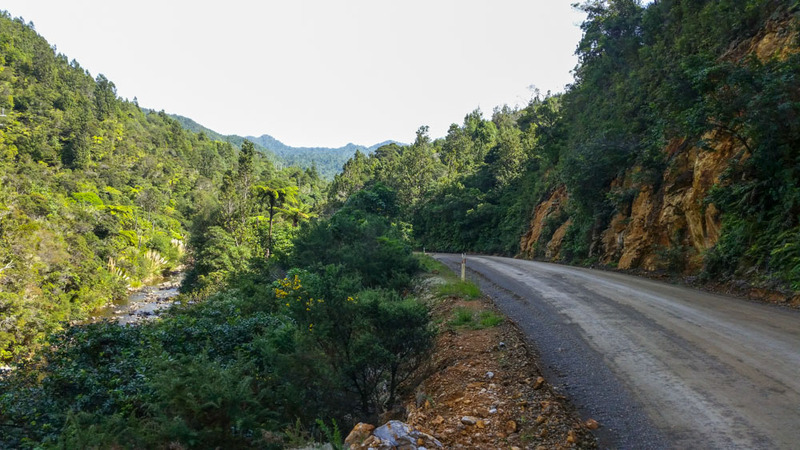 I was really intrigued by the inexplicable adversities that made this road so dangerous and a mix of keeping my eye out for them and the scenery made up of sub tropical rainforest kept me so entertained that I almost did not realised I had ridden the 7 km to the Waiau Falls. I parked the bike, took the handlebar bag with me and walked the path to the viewing point. 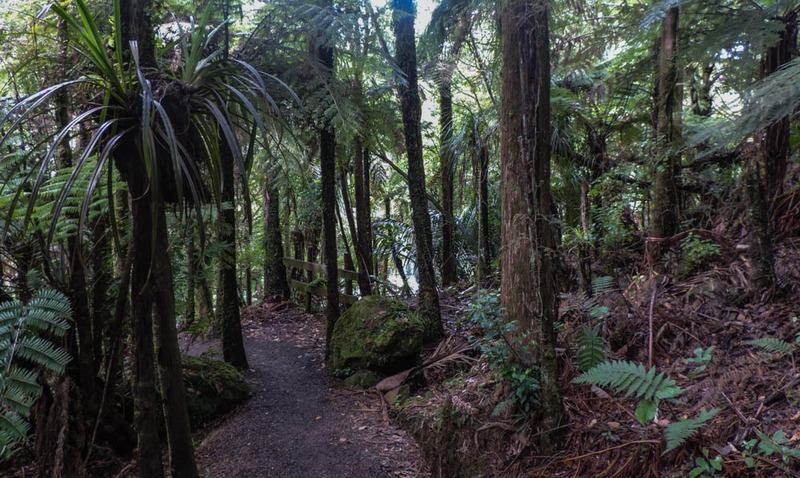 There, with me, I found a couple of Australians that I would meet again at the Kauri Grove and together we took a few pictures of the waterfalls. Not the most amazing I’ve seen but very nice none the less. Looking at the water I have to say it was less than inviting and elected not to take a plunge. 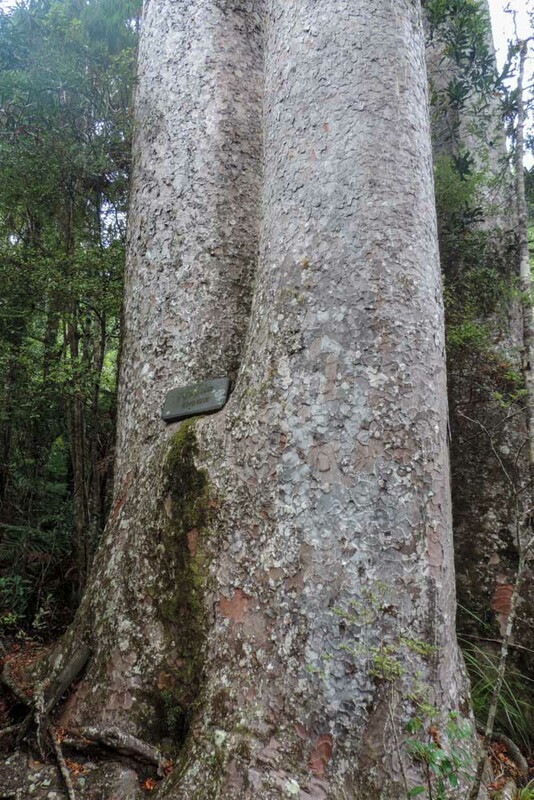 Only a couple of miles ahead I stopped again, this time to go and see the first kauri tree of the trip. 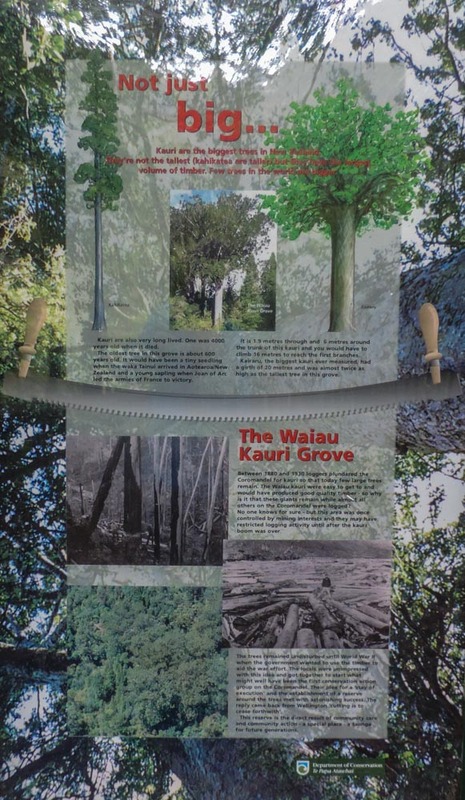 The kauri tree used to literally cover the north island, a far south, I am told, as lake Taupo. 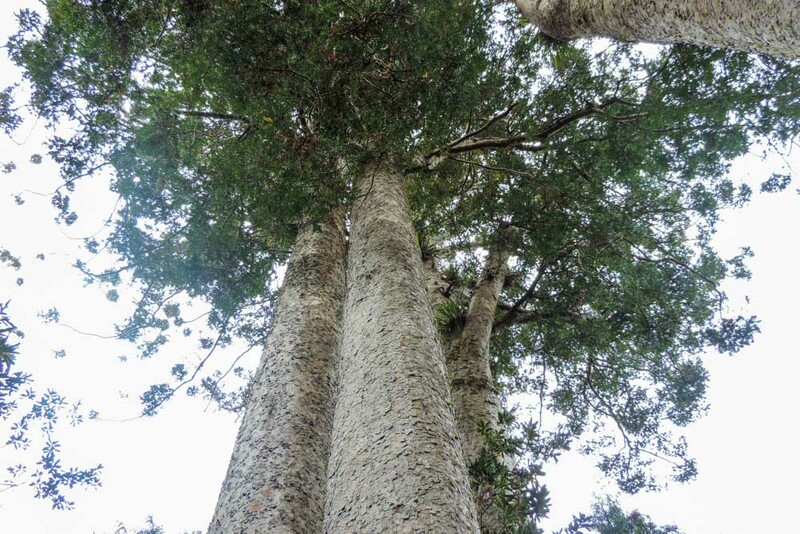 They are extremely slow growing, the one I am hugging below, was born before Columbus set sail for America, and for this reason the wood is extremely good for fine furniture. 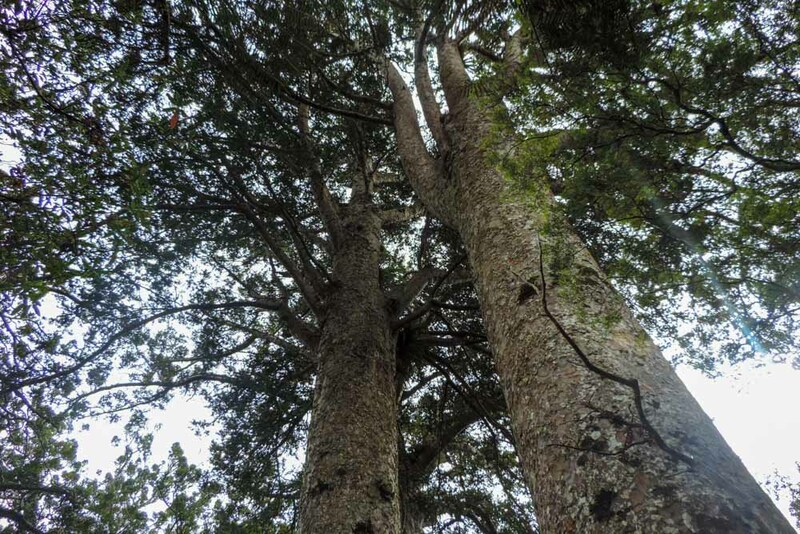 This is why the early settlers, whose interest in conservation was not quite up to today’s standards, practically chopped them all down. 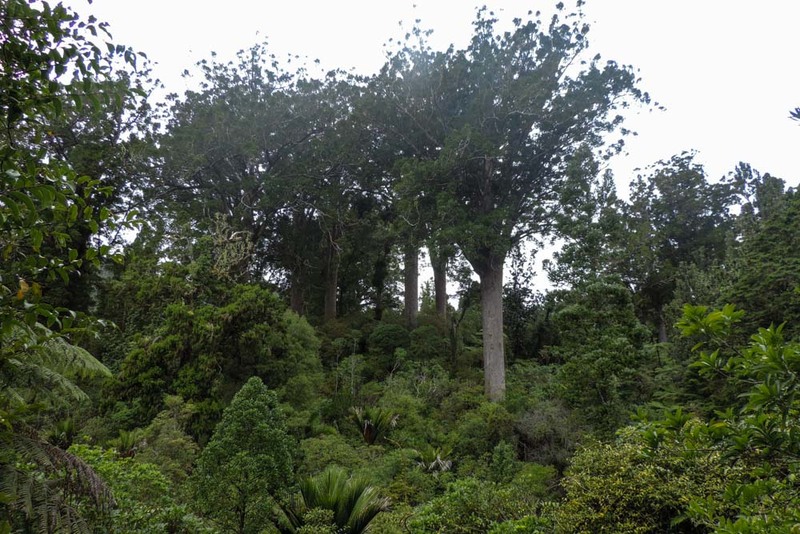 They are now a protected species but unfortunately they can only be seen here and in some pats of Northland, the last region I will visit in a couple of weeks time. 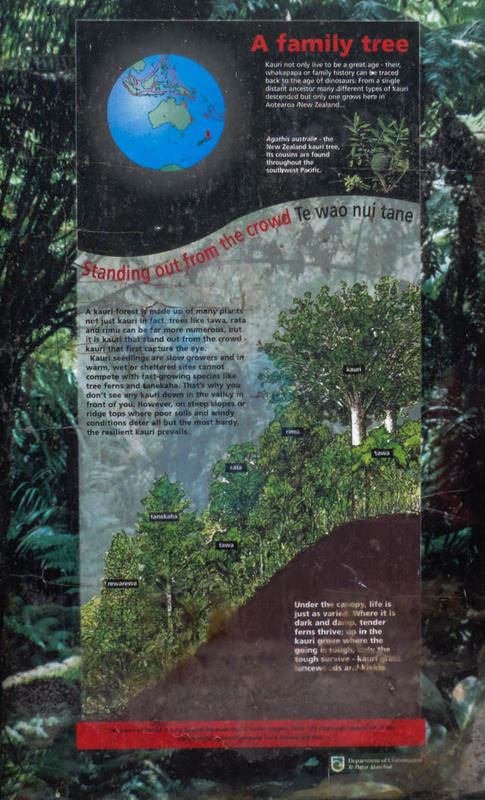 The path to the Kauri Grove was rather long, longer than the one to the waterfall and therefore I elected to cycle it not wanting to leave the bike on the road for a long time or carry more than the handlebar bag with me. I managed to get quite some way in before I met a staircase and, by this point, I decided that if someone did track all the way there to pinch my bike, they deserve to have it. 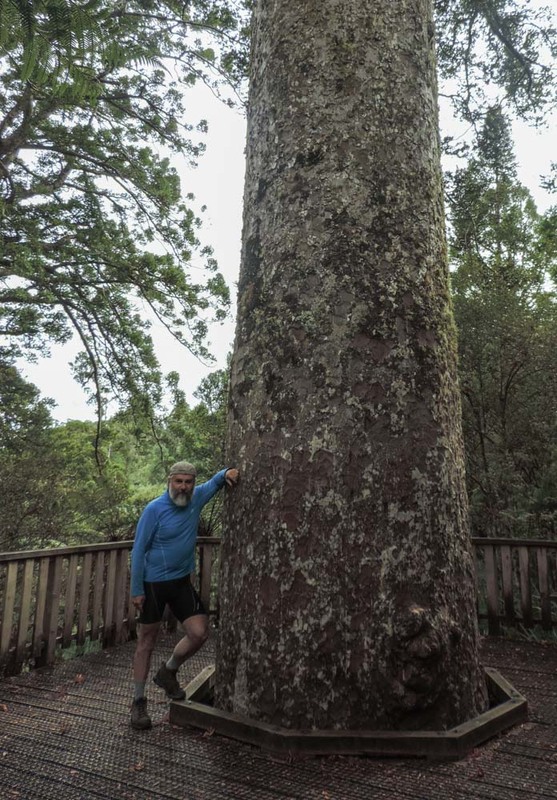 I took some pictures and then, with the help of my Australian friends, I got a couple of me with the king Kauri. 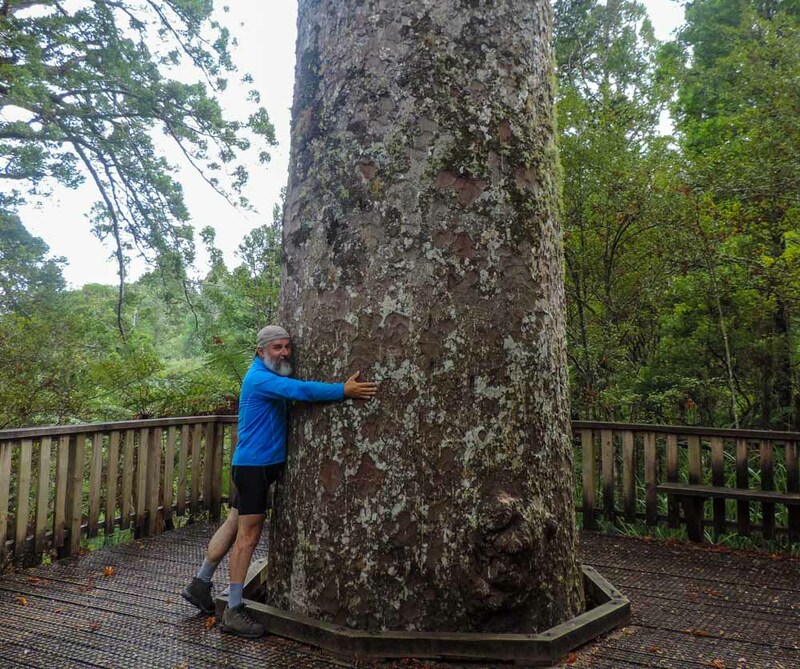 Old man hugging old tree. Will I be this big in another 555 years? 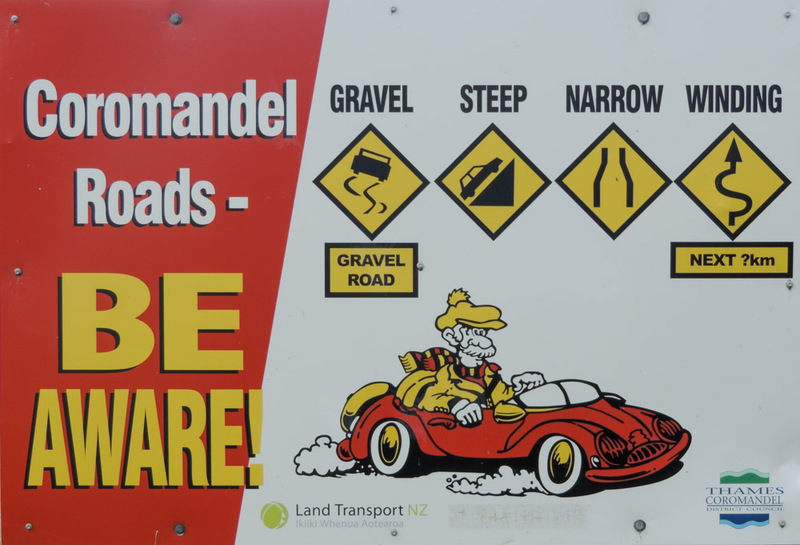 After the Kauri Grove it was only another 2 miles to get to the top of the road and then I had to enjoy a long gravel downhill. By the time I got to the top I was really wet, the sun had come out, and I was wearing the heavier riding top so I stopped and swapped it for the MS Society vest which, up to now has sneery little use. cycling mostly with long sleeves means I still have white shoulders, but I guess no skin cancer. I also decided that it was a good idea to take some GoPro footage, given that the scenery was really something and the road nowhere near as dangerous as it had been described. It did not take too much to get to the bottom and to the tarmac, but unlike other times I have spent on unsealed roads, this time I needed not to celebrate too much the appearance of the tarmac. Honestly I do not understand how people can possibly kill themselves on the 309, I found it fun and really easy to ride, if people find this difficult they should try some of the roads down in the Cattlins. 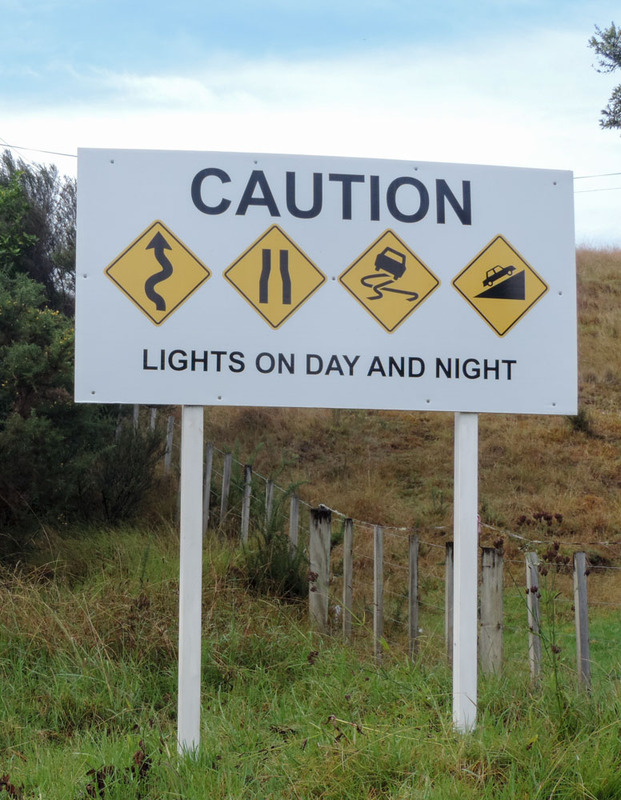 I was now on the SH25 heading south and I saw the sign for the Hot Water Beach. This is a place where you were able to dig a hole in the sand and it would fill with hot water due to a strange set of thermal activity in the area. I had decided yesterday, on advice form Patrick that I was not going to go, apparently Tropical Storm Pat washed away most of the beach leaving a tiny corner that now is fought over by many tourists trying to get the hot pools going. Nevertheless, being there, I thought, if it’s only a couple of miles I might as well have a look. 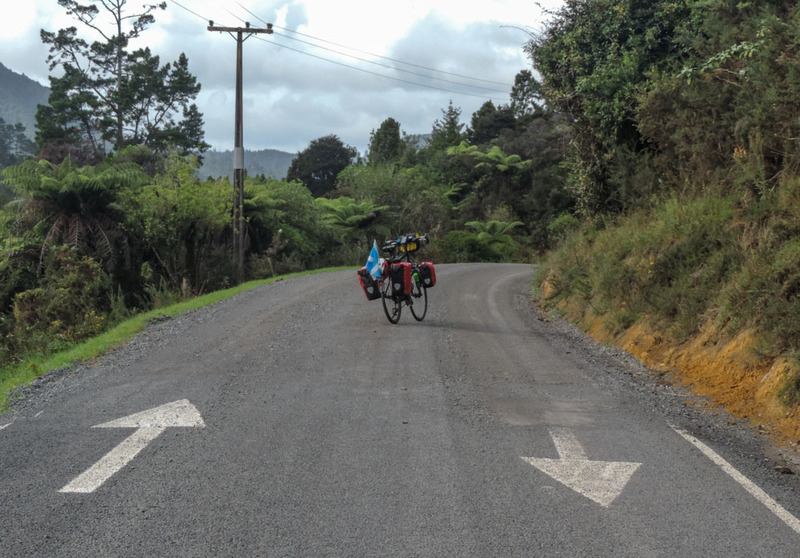 It wasn’t, it looked more like a 10 miles detour so the decision stood and I kept going south, which, after another steep hill brought me to Tairua the last stop for the day before the camp. I had seen a sign advertising real fruit ice-cream and remembering the one i so enjoyed in Hastings, I went straight for one, it was delicious this time as well and it set me up great for the last 10 miles of the day. I guess lava once came out of the top. The camp tonight is a DOC site called Broken Hill. It is near some gold mining outposts and, I am told, one could actually go and climb into the tunnels and shafts. There is little chance I will do that, even I wanted, and I don’t, the weather is a little on the iffy side and I think I’ll spend the bulk of the evening getting through the book I got in the book exchange in Napier which I am surprisingly quite getting into. I normally don’t read many novels but it might be that the time has come to kick the habit of a lifetime and start reading stuff even if they are not likely to teach me something. It turned out it was just me in a great big field. 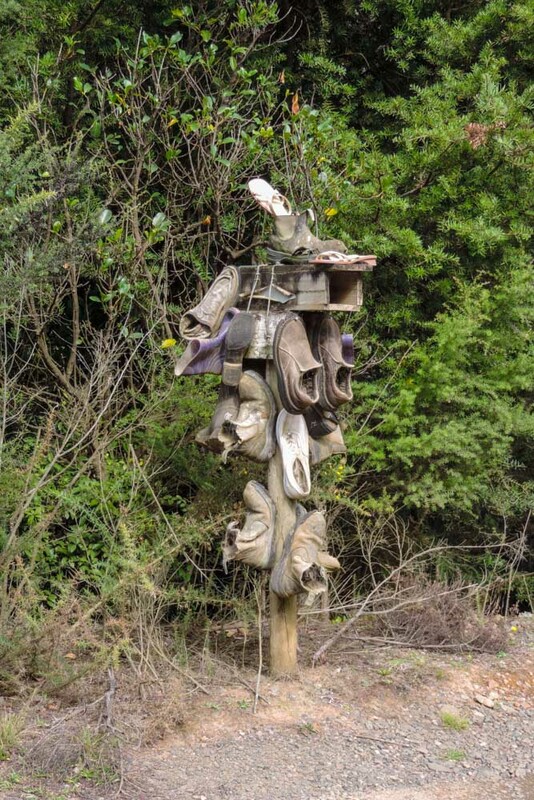 I might have been visited by all sort of animals in the night as the noises where of the most amazing variety. Tomorrow I’m getting closer to Auckland, but there is a big hill first thing in the morning so I might have a short day. I have some time in hand and some options so I think there should be no problem making it to Adam for Wednesday afternoon. Next Post Any water with that sir?